Being prepared for your dental procedure ensures fewer complications and a faster healing time. If you scheduled an appointment with one of our doctors, congratulations! You can expect excellent care and attention to detail the moment you step into our office. Whether you are coming in for a non-invasive procedure, like teeth whitening, or if you are getting a whole new smile makeover, you are sure to love the results! If you have any questions about how to prepare for your appointment, give us a call today! You may be wondering how to best prepare for your appointment. Some of it depends on what kind of procedure you’re getting, but there are some common steps that we would like all our patients to take before they come in. To make sure you are best prepared for your dental appointment, read our tips below. Knowing how much time a procedure will take is extremely helpful, so you can plan ahead and block out enough time in your schedule. A teeth whitening or veneer appointment may take less time than a dental implant placement, for instance. Depending on the procedure, you may need a numbing shot or laughing gas. But, if you are concerned about how your body might react to a certain kind of anesthesia, please ask what we recommend! Knowing what you can expect before, during, and after your dental appointment can help ease your mind. We will always explain every step beforehand, but we welcome all your questions. Before your dental appointment, we strongly recommend you follow the instructions we provide. If you have a more invasive surgery, you may be told to not eat or drink 12 hours before your appointment. This will ensure that your body will react well to the anesthesia, and your body will heal properly. Or, you may be instructed to thoroughly brush and floss your teeth before a cosmetic appointment like teeth whitening or veneers. It’s a good idea to check with your insurance before your appointment. You can call your insurance to ask about the coverage, your expected copay, and how to set up a payment plan, if needed. Our administrative team will be happy to assist you. Not every insurance company will cover the same things, so it’s important to check beforehand. Now that you have these great tips at hand, you should feel a lot more confident about your dental appointment. You might even feel excited! But, if you haven't scheduled your dental appointment, give Advanced Dentistry of Scarsdale a call! 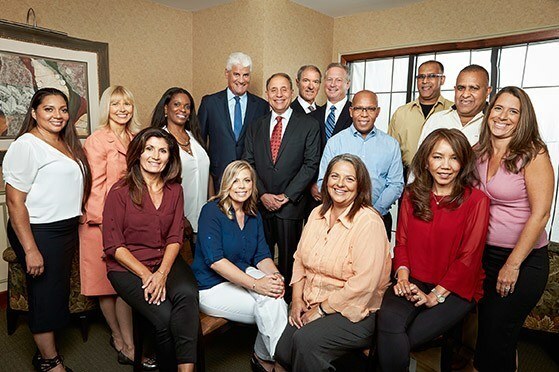 Our dental team is chock-full of experienced professionals with areas of specialty like periodontics, prosthodonticts, and cosmetic dentistry. So, whether you need dental implants in Westchester, a root canal, or a dental crown, we can help! If you are getting any kind of dental surgery, anesthesia will be administered for your comfort. You may feel disoriented after your appointment, so we recommend you someone to drive you home from the appointment. And, if there is any post-op care, make sure you tell a friend or family member, so they can check in on you until the anesthesia wears off. We want to make sure you get home safe and have a stress-free recovery. We may recommend you avoid certain foods after your surgery until you are healed. You should avoid very hard or sticky foods, like nuts and candy. Your teeth may also be very sensitive for a while, so save drinking your favorite hot tea or eating ice cream until after you heal. But you don’t need to limit yourself to oatmeal and ham sandwiches! If you’re looking for yummy recipe suggestions that are post-op safe, ask us! If you’ve been planning for this dental procedure for a while, circumstances may arise that require you to cancel. Illness, for example. Getting a major dental procedure while you’re sick can actually take longer for you to heal. Plus, you run the risk of spreading the illness to others. So, if you’re feeling under the weather a day or two before your appointment, give us a call to reschedule--we will understand! If you aren't sure if you should cancel, go ahead and call the office. Some of our popular cosmetic procedures require almost no recovery time, so you can go to your appointment and return to work the next day, or even the same day. But, for procedures like a full smile makeover, root canals, or dental implants, you will need plenty of time to recover. Be sure to adjust your schedule and ask for the recommended time off work if needed. Even if you are anxious to get back to your normal schedule, you need to make sure to take good care of yourself and recoverr. That way, you are less likely to have complications, and you can enjoy your new smile without worry!